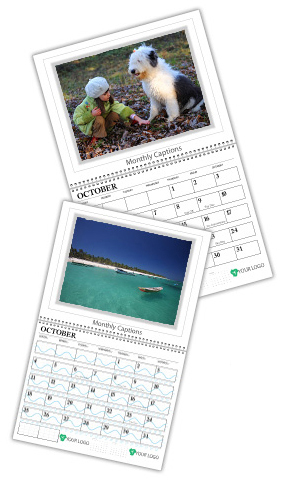 TIDELINES CALENDARS, the originator of graphed tides since 1981, now prints an entirely personalized tide calendar. This website serves as an online template for customizing tide calendars for YOUR COMPANY’S CUSTOMERS. * Full color, 11" x 17" wall calendars.